As a specialist in environmental archaeology, my main academic interest has been human’s historical adaptation process to their environments from a long-term perspective since the late Pleistocene, using Japanese Archipelago during the Jomon hunting-gathering period (about 16,500-2,400 years ago) as a main research field. Since arriving at the Sainsbury Institute as a Handa Japanese Archaeology Fellow in May, I have mainly been working on two topics: wrapping up the results of what I have worked so far as publications and exploring a new research project. Publication tasks are threefold. One is to finalize the article on the socio-economic background of early ceramic vessels. While the Jomon culture is one of the world’s earliest cultures with ceramic vessel technology since the Last Glacial period, little is known on why and under what socio-cultural situations created a hunting-gathering society like Jomon, and how early pottery was used. I tried to answer these questions by analyzing subsistence patterns at that time, based on zooarchaeological methods. My article will be included in the forthcoming volume “Ceramics in Circumpolar Prehistory: Technology, Lifeways and Cuisine” (eds. P. Jordan and K. Gibbs, Cambridge University Press). The second task, which I’m pleased to have completed, was to edit a special volume of Archaeology Quarterly vol. 144 “Zooarchaeology (Dōbutsu kōkogaku)” (in Japanese). This was published in August from Yuzankaku, Tokyo. I introduced the current situation of world’s zooarchaeology with examples of Mesolithic sites in U.K. like Star Carr in North Yorkshire. 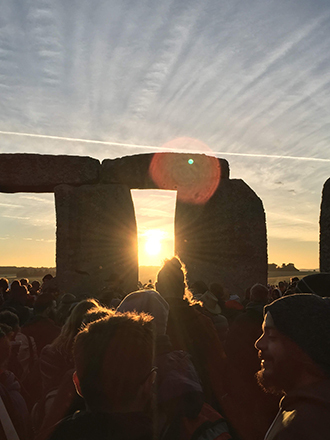 …and people celebrating the sunrise of the summer solstice at Stonehenge. 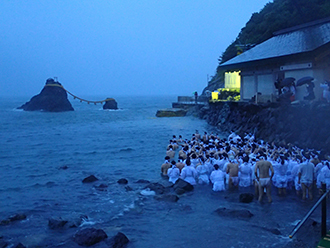 Summer solstice has historically been important both in U.K. and Japan. The last publication work is to write/complete an article to introduce the Japanese history of human-animal relations since the Palaeolithic period up to the present as one of the chapters of “Origins of Agriculture: Challenging old orthodoxies: championing new perspectives” (eds. S. Kaner, L. Janik and K. Yano, Springer). Adding to these, I am writing several other articles, including freshwater fish aquaculture in rice paddies in the East Asian early farming economy. More recently, I have directed my research towards studying the prehistoric population dynamism across North Eurasia to understand the socio-ecological contexts of Neolithisation, the transitional process from nomadic hunter-gatherers to sedentary farmers, from interdisciplinary and cross-cultural perspectives. Together with the ‘Millet and beans, language and genes’ research project team at the Max Planck Institute for the Science of Human History in Jena, Germany, we looked at the origin and dispersal of the Transeurasian family’ (acronym: ‘Eurasia3angle’). As part of this, I organized a workshop entitled “Neolithisation from the Seas of Japan across the North Eurasian Greenbelt” on 29-30 November 2018. In this workshop I focused on the ‘North Eurasian Greenbelt’, which is the boreal and temperate-mixed forest zone stretching from the Japanese Archipelago to the British Islands. Although the North Eurasian Greenbelt is one of the most productive biomes, or a large naturally occurring community of flora and fauna, in the Northern Hemisphere and an arena of complex population dynamics, much is unknown about the historical impact of the North Eurasian Greenbelt on human history and its socio-ecological conditions. Having productive discussions with scholars from different fields of study, including archaeology, anthropology, linguistics, genetics, and biology, and from all over the world, such as the U.K., Japan, the Netherlands, the United States, Russia, and China, we have started to develop a plan for a new research project in the future by first deepening the cooperation between the Sainsbury Institute and the Max Planck Institute. 8 months have already passed since I arrived in Norwich; I would like to devote my remaining term to cross-cultural comparisons of prehistoric Britain and Japan in Neolithisation in the contexts of the adaptation process to the environments from a broader North Eurasian perspective.